Dr. Renee Comizio is an accomplished, board-certified plastic surgeon specializing in cosmetic and reconstructive procedures for the breasts, body, and face. She approaches every treatment as an opportunity to improve her patients’ lives and offers the support that they need to feel like themselves again. Her practice centers around helping patients understand their options fully before making a decision about surgery. Dr. Comizio believes that plastic surgery is an opportunity to give the desired area of your body a new and improved look. As a woman, Dr. Comizio respects your decision to improve your self-confidence through surgical and non-surgical procedures. She will do everything in her power to make you look like the best possible you. Dr. Comizio balances her Ivy League credentials with an unassuming demeanor that immediately puts patients at ease. Her training began with a B.A. in Biology from University of Pennsylvania and continued with an M.S. in Human Nutrition from Columbia University’s College of Physicians and Surgeons. Residency in General Surgery at Harvard Medical School’s Beth Israel Deaconess Medical Center. Residency in Plastic and Reconstruction Surgery from Dartmouth Hitchcock Medical Center, Dartmouth Medical School. Assistant Program Director of the Plastic Surgery Residency and Assistant Professor at Dartmouth Medical School. In addition to her comprehensive training, Dr. Comizio is board-certified by the National Board of Medical Examiners, American Board of Plastic Surgery (ABPS). Designing patient-friendly ways of improving communication during surgical consultation. Fat grafting as an adjunct to breast reconstruction. Clinical research in shared decision-making models of patient care. 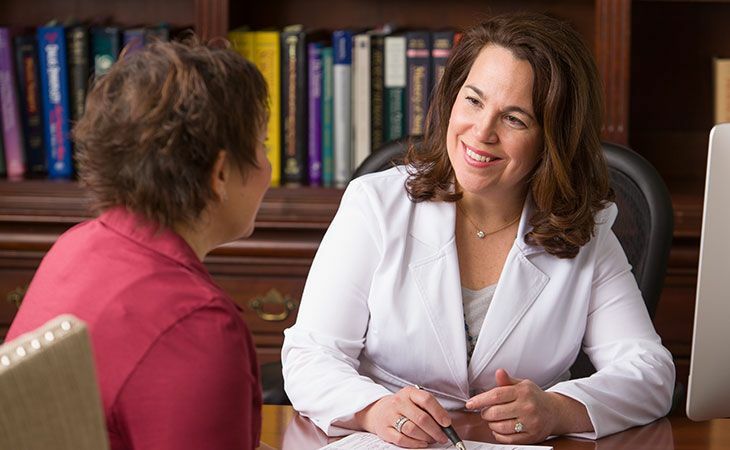 Throughout her career, Dr. Comizio has maintained a high standard of patient care and uses a shared decision-making model to enhance patient understanding. Dr. Comizio has received numerous awards throughout her distinguished career. She was named as one of America’s top plastic surgeons by the Consumers’ Research Council of America for five years in a row. She is honored as a Top N.J. Doctor by N.J. Top Docs. She received the Patients’ Choice Award 2014-2015 and Compassionate Doctor Recognition 2014. Recently, she was recognized for her efforts in breast cancer reconstruction as one of five medical honorees at the American Cancer Society’s 100th Anniversary Diamond Ball. 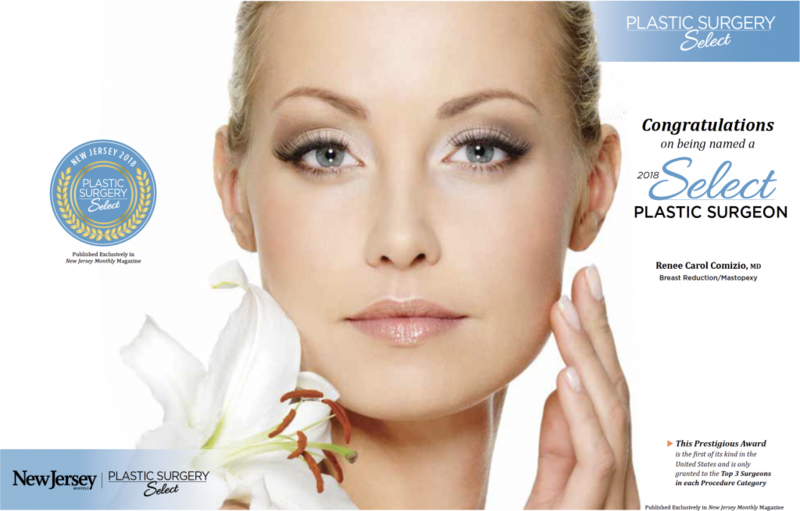 Selected as New Jersey’s Monthly Top Doctor – Plastic Surgery Select! At our Morristown office, we welcome you to ask any questions you have about our procedures. We are here to help and will take the time to find out more about you and what you’re looking for. Each member of our practice is selected for their ability to welcome patients and answer any questions that come up during their treatment. Dr. Comizio is happy to spend time helping you feel comfortable with your procedure. For some patients that means offering a sympathetic ear; for others, it means providing detailed information about a procedure. Dr. Comizio and her staff truly value patient input and take the time to listen and address all of your concerns. Dr. Comizio grew up in Franklin Lakes, about thirty miles from her current office in Morristown. Her father is a retired physician who worked at St. Joseph’s Hospital, and her mother is a retired registered nurse who worked at Valley Hospital in Ridgewood. Part of what attracted Dr. Comizio back to northern New Jersey was the opportunity to return home with her husband and two young children to be closer to family and long-time friends. 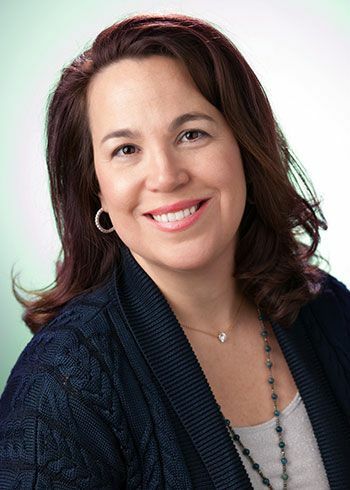 Dr. Comizio spends most of her free time with her young son and daughter, and her husband. As an actively involved parent, Dr. Comizio divides her spare time attending school activities and her children’s sporting events with her husband. To schedule an appointment with Dr. Comizio, call our Morristown office at 973.775.9248.